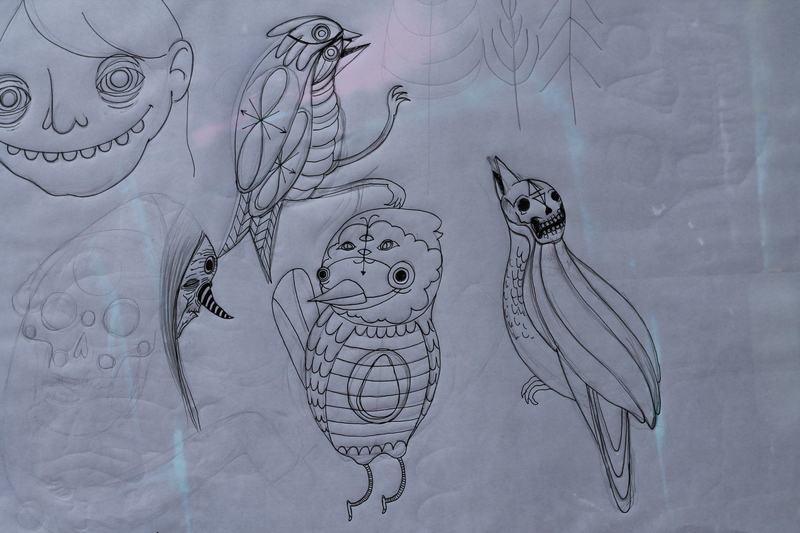 I spent an afternoon sketching with my daughter, Olive and came up with these three bird images. I continued to use the same idea of geometric shapes, like my free range triangles, to divide the body of the bird. After the rough sketch, I created a stencil for each bird and transferred them to the wood panels. I’m pretty happy with how these turned out. I have a few more sets of these panels and plan to take the same approach on them, painting three different versions of a subject. I’d love to sell these guys as a family at the show, but I think they work by themselves or in a pair too, which is great to offer as an option.